Ford is currently embarking on one of the most massive and comprehensive overhauls in the company’s 111 year history. By next year, Ford plans to roll out an astonishing 16 new vehicles in the United States and 23 worldwide! 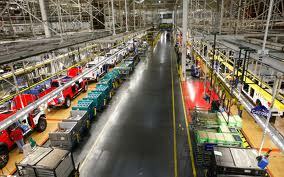 To gear up for this wild ride, Ford has recently overhauled their 2.6 million square foot Dearborn, Michigan truck plant, adding 300 new robotic machines to work side by side with assembly workers. Only adding to the difficult nature of this task, though, is the F-150’s transition from steel to aluminum. Even an upgraded factory does not make this aluminum transition any less daunting. Using the same process that was recently used for the Jaguar Land Rover, Ford will be forced to switch from the established welding process of steel to a far more complex technique that uses a mixture of rivets and industrial adhesives. Certainly, much of the difficulties of working with aluminum stems from its temperamental nature, for example, the fact that aluminum can’t bend as much and must be absolutely clean throughout the entire manufacturing process. This transition to a more complex process also means that more labor and attention to detail will be needed. In fact, Hinrichs has said that the Dearborn factory will be handling 60 jobs per hour, 7 days a week. 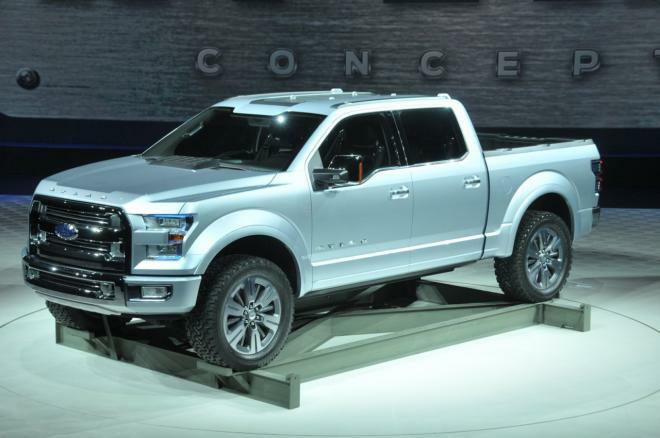 This entry was posted in Culture, Ford and tagged dearborn, f-150 aluminum, ford, michigan. Bookmark the permalink.